With his appointment by Iraq’s new president Fouad Massoum, Haider al-Abadi (حيدر العبادي‎) is almost certain to become Iraq’s next prime minister — even as two-term prime minister Nouri al-Maliki continues to attempt to stop Abadi’s selection by any means possible. So who is Abadi? 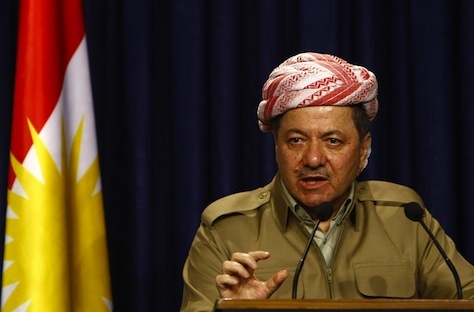 And what does his selection mean for Iraq’s political future? Like many leading figures in the Shiite opposition movement, Abadi spent much of the Saddam Hussein era in exile, in his case in London. In 2003, like so many other exiles, returned to Iraq when the US military eliminated Saddam’s Baathist regime. From the outset, Abadi took a leading role in Iraq’s new government. 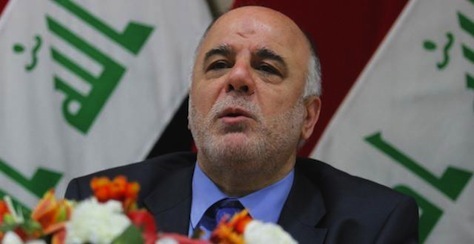 An electronic engineer, Abadi served as communications minister in the Iraqi Governing Council that reigned between September 2003 and June 2003. Most recently, Abadi was elected deputy speaker of Iraq’s parliament last month in what’s been a four-month process to elect new national leaders, following the country’s April parliamentary elections. A week ago, the biggest story in Iraq was the prospect of seemingly endless post-election coalition talks among Iraq’s secular political elite, negotiations that seemed destined to restore Nouri al-Maliki to the premiership for a third consecutive term. But the sweeping offensive last week by the Islamic State of Iraq and the Levant (ISIS or ISIL, الدولة الاسلامية في العراق والشام, ad-Dawla al-Islāmiyya fi al-’Irāq wa-sh-Shām‎), which burst out of Iraq’s western al-Anbar province, has now overshadowed Iraq’s April elections, bringing into serious existential question the concept of Iraqi nationhood altogether. ISIS previously took control of Fallujah and Ramadi in January, where it joined forced with Sunni tribal leaders and others angry with Maliki’s increasingly authoritarian rule. But with a force of just 700 insurgents, ISIS easily took Mosul, Iraq’s second-largest city, last week. It followed up by taking Tikrit, another Sunni-majority northern city and the hometown of former president Saddam Hussein. 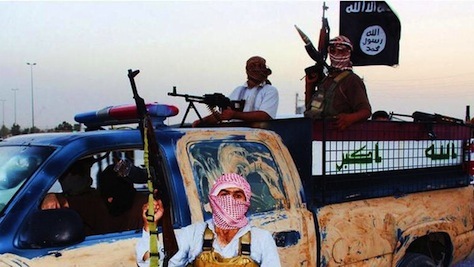 ISIS also briefly took control of oil refining center of Baiji, though government forces have now wrested control back. That leaves much of western and, now, northwestern Iraq, in the hands of ISIS and allied Sunni militias. Sensing an opportunity, the Kurdish peshmerga quickly moved into Kirkuk, another oil-rich town historically claimed by Iraqi Kurdistan as its capital but controversially left outside of the formal borders of the Kurdish autonomous region in post-Saddam Iraq. Though it’s an embarrassment for the Maliki government to have ‘lost’ Kirkuk to the Kurds, it’s the least of his worries. Kirkuk is probably much better off under Kurdish control than under what ISIS hopes will become a jihadist caliphate that extends from northern and western Iraq through eastern Syria. It’s difficult to believe that the central Iraqi government will have enough power anytime soon to force the Kurds to relinquish Kirkuk (or its rich oil reserves).